Setting up your artwork for the highest quality result. Any images/photos need to be between 70dpi and 150dpi at full size. If you need to match specific colours either a Pantone PMS colour or hard copy swatch will be required. We cannot match colours from images on screen. 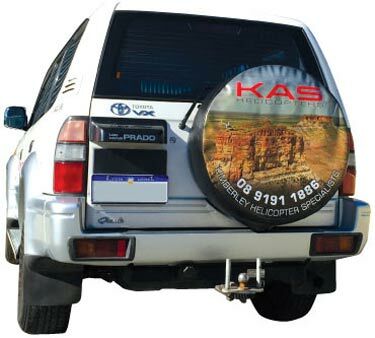 Please contact us if you have further queries on artwork for your custom spare tyre cover.